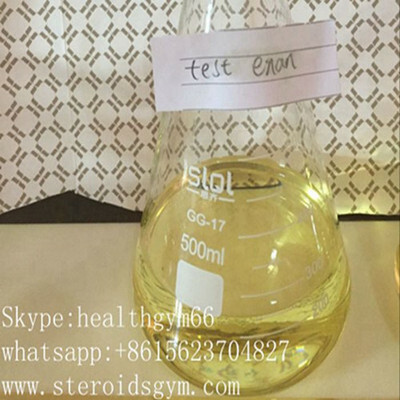 Test Enanthate 250mg / ml Injectable Anabolic Steroids for Muscle Gaining , CAS 315-37-7 - HealthclubBiotechnologyCo.,Ltd. Although all the benefits of the testosterone enanthate can be obtained from it alone, in most cases, it has to be a part of the cycle with other steroids depending on how the users are responding to it. For example Trenbolone compounds and Deca Durabolin will be best suited for those that are bulking, while there are options like compounds such as Winstrol, Masteron, and Anavar for those that are cutting. Users will do well to check their baseline blood levels while using testosterone enanthate once or twice a week. Usually, the testosterone portion of the cycle is more or equal on an mg basis to the other steroids taken simultaneously.